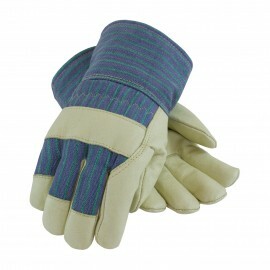 Leather palm work gloves offer some of the greatest protection and the greatest values with a long and glorious history. 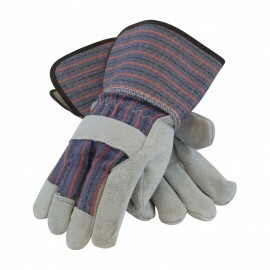 These gloves are extremely durable and comfortable, they are good for any application. 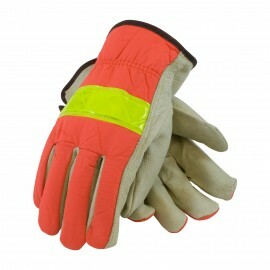 Select from Hi-Viz Work Gloves, Heavy Duty Leather Gloves and Economy Leather Work Gloves. 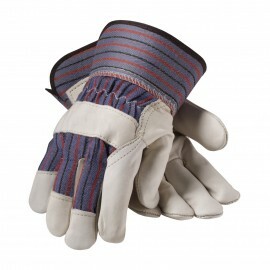 Put the leather where the work is-in the palm. 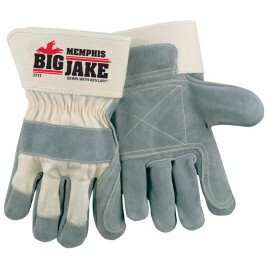 Check out our other selection of heavy duty gloves. 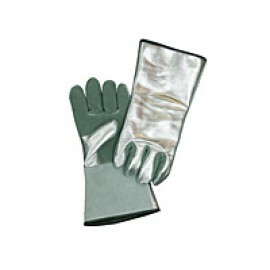 Leather is a common material chosen by professionals working in industrial and construction applications, and other heavy-duty jobs to landscapers and gardeners. 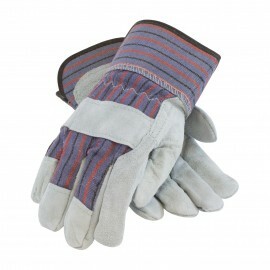 The first major advantage to a pair of protective leather gloves is its durability. 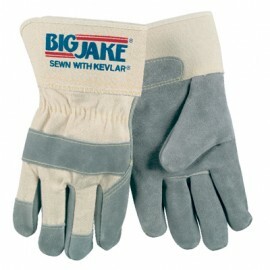 Leather is extremely durable and resilient, which means the glove will most likely not puncture, rip or tear during normal everyday work. 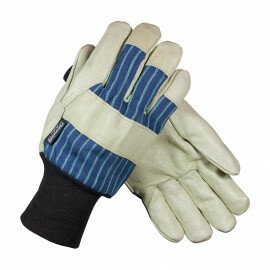 Anything from building a deck to digging up rose bushes won't damage your leather gloves and keep your hands protected. 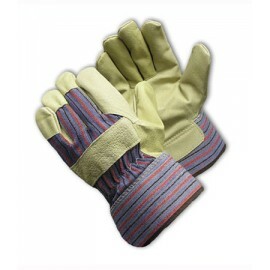 Leather is, however, not cut proof, but we do carry protective leather gloves that are cut proof. 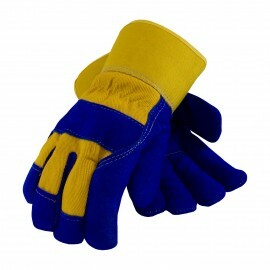 A second advantage to leather gloves is that they keep your hands warm, a popular benefit when working in extremely cold temperatures. 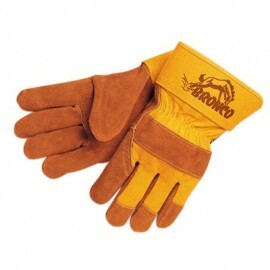 Leather material is a great insulation. 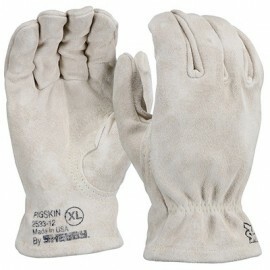 While most cotton gloves can let air in, leather gloves do not. 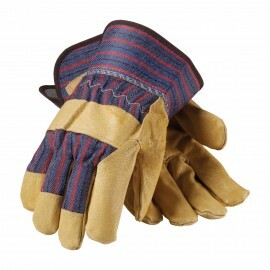 It's no wonder why most heavy duty industrial work gear is made with leather. 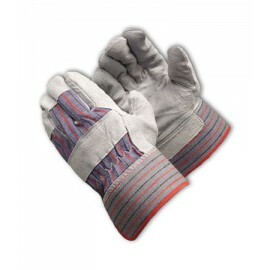 The last benefit to protective leather gloves is that they form to your hand and extremely comfortable. 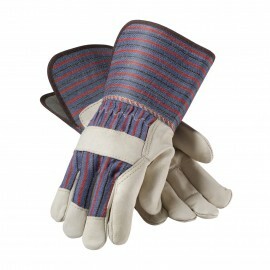 Leather is a flexible fabric that will take shape depending what is on the inside of it or the outside. 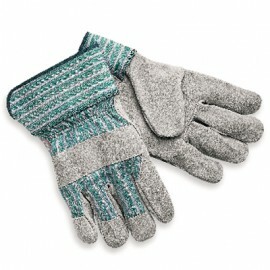 Wearing the same pair of gloves for an extended period of time will make them fit comfortable to your hand and help reduce the risk of getting a blister or chaffing as you would with a pair of gloves your hands aren't used to. 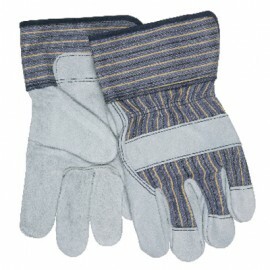 The one disadvantage to leather gloves is since they are strongly insulated and keep you hands warm, wearing them in the summer months could get a little uncomfortable. 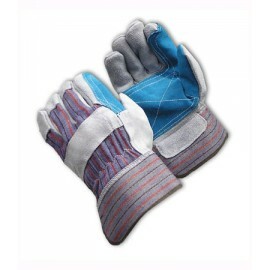 They result is sweaty hands, but this only occurs during extreme heat condition exceeding well over 100°. 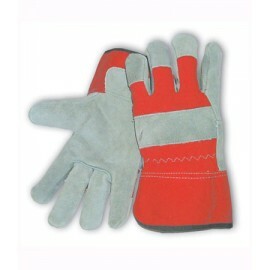 Be sure a pick out the right pair of protective leather gloves to fit your profession, your hands with thank you.